Music is present in all of the ambients of Affinity Arts and, as shown by current studies, augments cerebral activity, making more neural connections possible. 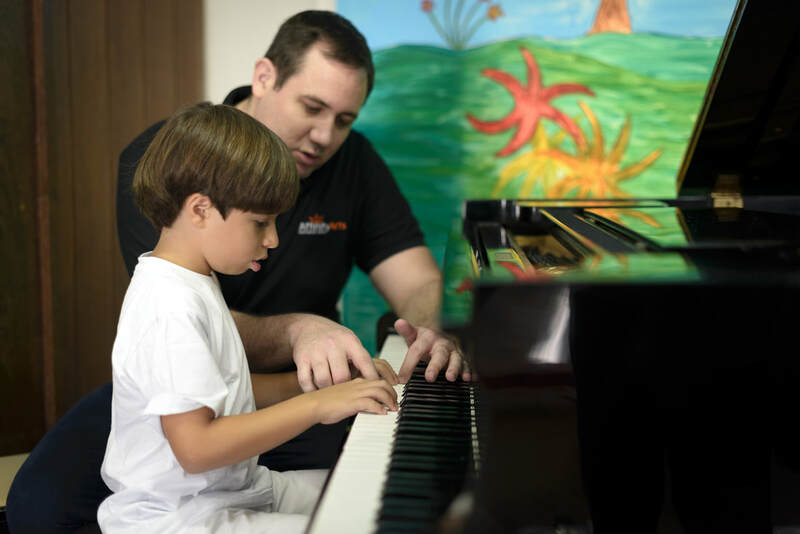 ​All of the classes participate in 4 (four) music classes per week. The musicians that lead the classes accompanied by piano utilize elements of educational methods from ​Zoltan Kodály e Jacques Dalcroze. 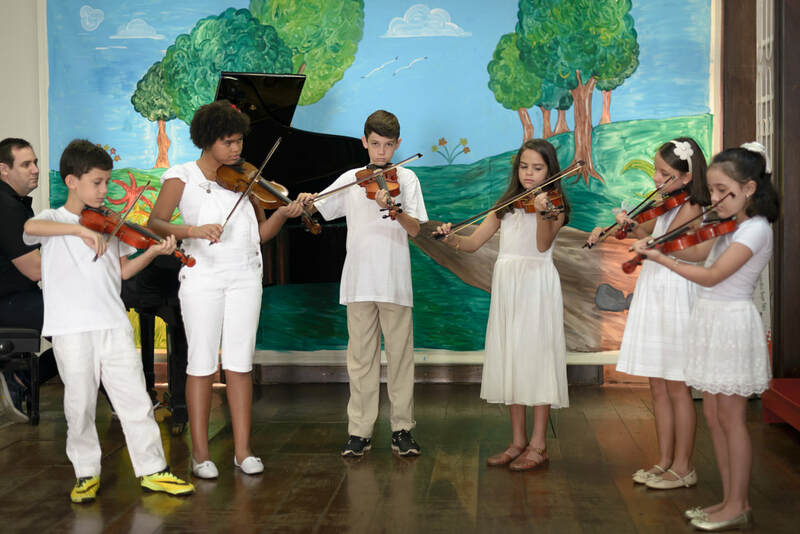 Within the music that is used with the children, countless compositions by the artists can be found that expose the theme of science and ethics of each semester, as well as the folkloric songbook that values Brazilian culture and Mother Goose with the well-known rhymes and classical international stories. Beyond the exercises of solfeggio, the students sing, dance, and represent stories. The conductors utilize figures or puppets to interact with the students during the songs. Scientific studies, like recent research from the University of California, Irvine, show the fundamental importance of musical education in the development of the brain during early child years, not only in areas of space and time that affect mathematical comprehension, but also verify that adolescents who did not have the opportunity to develop rhythmic and intonation (high) capacities, demonstrated difficulties with reading. Music class, beyond awakening holistic mental processes between the two hemispheres of the brain (bilaterally), helps children naturally develop focus, skills in math & science, creativity, motor skills coordination, spatial & temporal perception, memory, body expression, linguistic development, cultural background, and a series of concepts that are essential for integral growth. 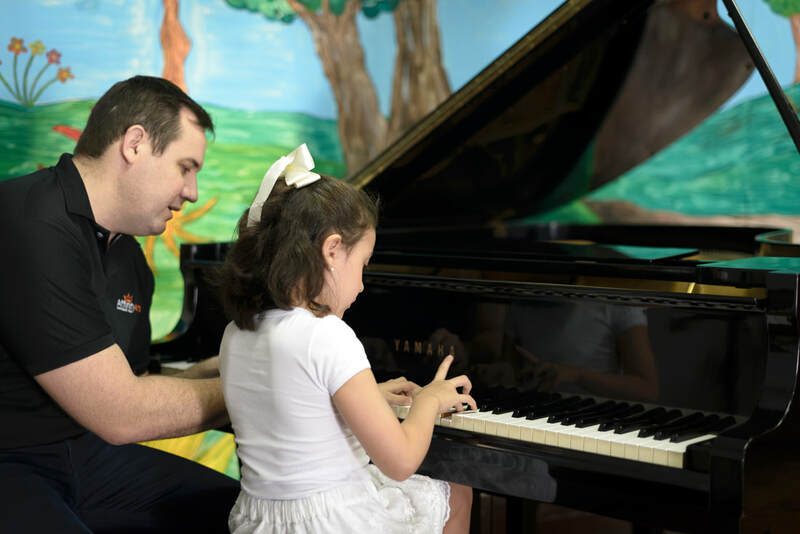 Beyond music class, Affinity Arts offers musical instrument classes (piano and/or violin) as an additional service. They are offered for a total of 40 (forty) minutes per week, normally divided into 4 (four) times per week, about 10 minutes per day. After a minimal amount of time with the instrument, besides showing concentration with an integral use, the students show a relationship of appreciation and delight. ​The care established in this relationship with the instrument goes before any rise to negative associations to the experience or a demand to behave during a larger period of time than supported for the age range. Instrumental lessons are given utilizing the Suzuki Method. 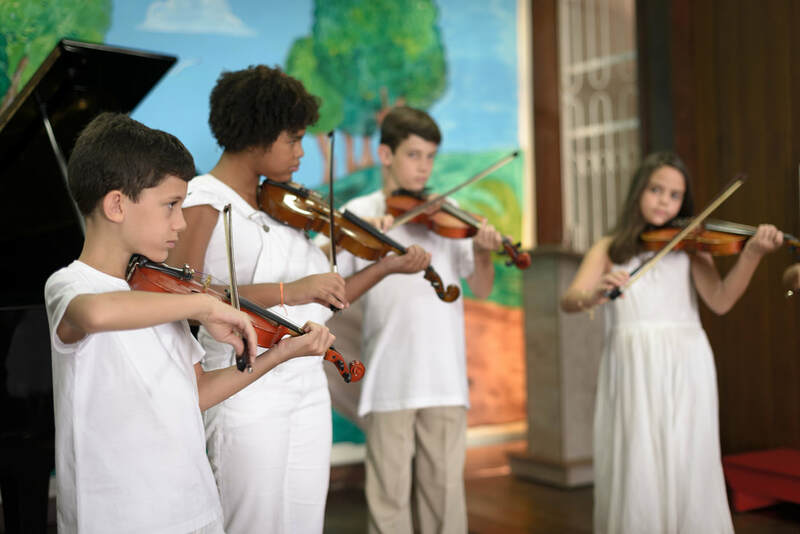 The measurement of how the student significantly evolves during the lessons is made possible by the opportunity to integrate into the Chamber Orchestra of Affinity Arts, that also is composed of by teachers and musical professionals.